If you are lucky enough to have your very own man cave, it is important to make the most out of every square foot you got. While most guys fill their space with the latest piece of technology and fun bar games, a beer and beverage refrigerator is a must. These refrigerators will give you easy access to your drinks so that you never have to leave your cave. Plus, it saves precious space in your main refrigerator. 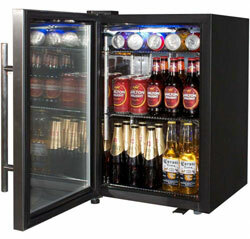 There are a number of different types of beer and beverage fridges available. When choosing the perfect fridge, there are a few things to consider, including the size and capacity of the fridge. Smaller fridges, while effective, limit the number of drinks you can store. A larger fridge will allow you to stock up, ensuring that you always have drinks available. In addition to size, guys will need to consider the temperature options of the fridge. Many fridges have varying temperature ranges that may or may not be adjustable. To get that perfectly cooled drink, guys should go with a fridge that gets as cold as possible. Either way, guys should take the time to choose the right fridge to ensure that their man cave is perfectly prepared for many nights of drinking. While either option is a great choice for any man cave, it is important that guys understand the difference between a refrigerator and a kegerator and dispenser. They both do a great job at cooling your drinks and providing chilled beverages at a moment’s notice. However, they differ in the way they cool and deliver the drinks. Guys should think about how they want their drinking experience to be in their man cave before making a selection. Understanding the differences will help you make an informed decision and avoid buying both options. Refrigerators are the best option for guys who enjoy drinking from a bottle or a can. These devices act the same way as a traditional refrigerator. However, beer and beverage fridges are often designed with drinks in mind. 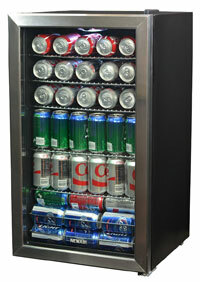 Many fridges are built to accommodate standing cans, as cans placed on their side can eventually lose carbonation. 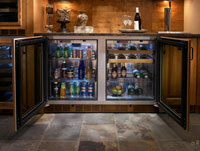 Most are also built with a glass door so that the beverages can be shown off and easily accounted for. The great thing about refrigerators is that they are easy to use and very versatile. Many manufacturers understand that the fridges aren’t going to be placed in a kitchen, but rather a recreation room or man cave. Because of this, they are designed to be sleek and minimal in design so that they can fit in any room. Some are even made to be flush with cabinets and counters, making them have a built-in appearance. In terms of versatility, refrigerators are the best. They can be used to store any type of drink, from bottled artisan beers to non-alcoholic juices. This makes it easier for guys to provide beverages for everyone at a party. Kegerators and dispensers are great for guys who always want cold beer on tap. These devices are very similar in size to a small refrigerator. However, instead of holding cans and bottles, they hold kegs of beer. The kegs are cooled and delivered to the tap. Many kegerators and dispensers have a built-in tap on top of the fridge, making it easily accessible. Some models can even be installed into existing cabinets and countertops for a seamless appearance. Taps also usually have a drip tray and drain to minimize messes. 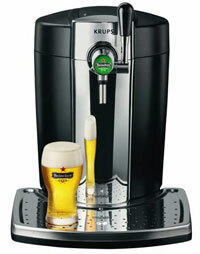 The main advantage of kegerators and dispensers is their ease of use. Friends can easily dispense their own drinks. Waste is minimized, as no cans or bottles are used. The downsides to these devices are the limitations. Usually, only one type of beer can be used, as kegerators and dispensers only have one tap. However, higher-end models sometimes provide multiple taps and room to cool the kegs. Another issue is the CO2 required to operate the tap. The CO2 builds up the pressure in the keg, allowing the beer to be dispensed. Guys would need to have a supply of CO2 canisters on hand to ensure that the beer is always flowing. 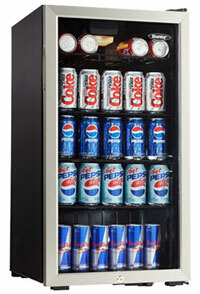 If you are looking for a fridge that holds a lot of drinks, the Danby DBC120BLS has you covered. The fridge has a capacity of 3.3 cubic feet, allowing you to store up to 120 standard cans. The black wire shelves are designed to hold drinks perfectly to limit wasted space. Of course, the shelves are adjustable so that bottles can be stored. In terms of style, this fridge is sleek and modern. The black body and stainless steel door can match any decor. 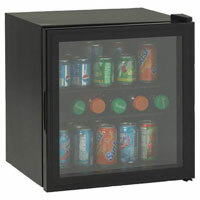 It also features a tempered glass door so that you can keep track of your supply with a glance. The fridge has a light inside and a mechanical thermostat for easy adjustment. For safety, the fridge has an integrated lock that can keep prying hands out. This fridge is a versatile option for those looking to integrate their fridge into existing furniture. The SPT BC-92US is designed for built-in applications. It features a ventilation system on the front and a flush design. The door is trimmed with stainless steel for a professional and sleek look. The door also has two panes of tempered glass for extra strength and insulation. When it comes to capacity, the fridge is 3.19 cubic feet. This allows you to hold up to 92 cans of beer or soda. Unlike some other options, this fridge has an adjustable temperature range that can be changed with a digital panel on the inside. It can be set to keep your beverages anywhere between 35 and 65 degrees. Should you experience a blackout, there’s no need to reset the settings. The fridge will remember its last setting and automatically cool drinks to that temperature. 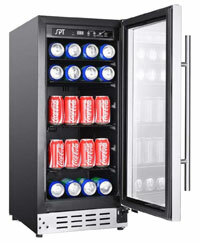 For even more storage capabilities, the NewAir AB-1200 provides enough room to hold up to 126 cans of beer and soda. The chrome racks inside are perfectly spaced to hold cans efficiently. They are also removable if you a need a bit of extra room. The fridge also has a storage bin below the racks that can be used to stock up on bottles or large cans. The fridge can cool drinks to a frosty 34 degrees. There are 7 temperature settings, allowing you to choose the temperature that is right for you. Its minimalist design makes it perfect for any space without being overbearing. It has a black exterior and a glass door trimmed with stainless steel. If you are tight on space, NewAir offers a smaller model that can hold 84 cans. It still has the high-quality chrome racks and bin of its larger counterpart. This freestanding refrigerator from Whynter looks great regardless of its location and surrounding decor. It has a fairly large capacity of 5.75 cubic feet, allowing you to store up to 120 standard cans. The fridge can be mechanically set to cool beverages as low as 30 degrees, making it one of the best options for those looking to get ice cold drinks. The door is made from stainless steel and glass to keep track of your stock. The door is also reversible, allowing you to customize the way the door opens based on its location. It also has an LED light inside the fridge that can easily be turned on or off with a switch. 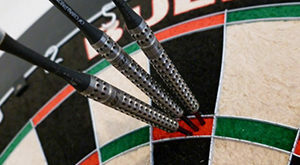 If you are on a budget, the Avanti BCA184BG is a great option. It is fairly small with a capacity of 1.8 cubic feet. 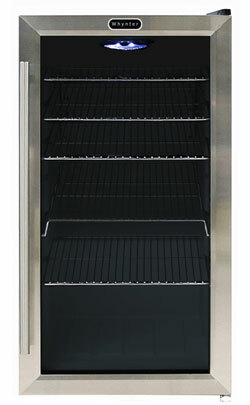 It is an ideal choice for guys who don’t necessarily have the space for a larger fridge. It can be kept on a countertop or table for easy access. The shelves are adjustable, allowing you to store both cans and bottles. The door is reversible and made from glass. The black body will fit in with other countertop appliances and decor. While the fridge may be small and affordable, it still performs well. The temperature of the fridge can be adjusted to bring all of your favorite drinks down to a frosty cool. I agree with your article, a beer refrigerator is a must in a man cave. The most important thing in my opinion is glass doors. This way you can look at the beer for a long time before you decide which to drink.